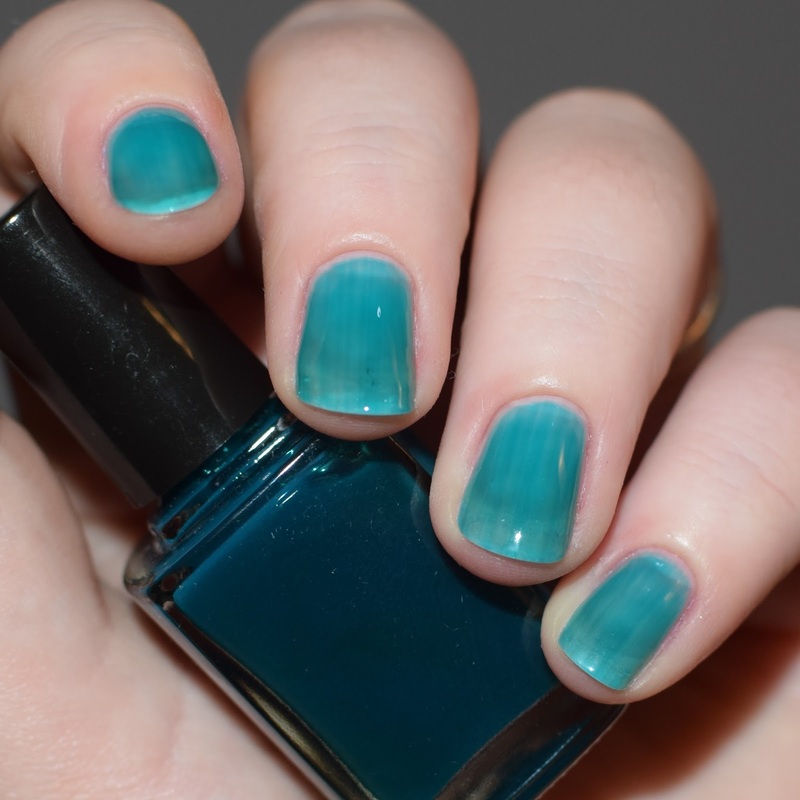 I recently wanted to try a jelly sandwich mani, because shockingly I never had before. But when I went to try it, more shockingly I realised that I didn't own any sheer jelly polishes that would work for a jelly sandwich. I decided to make a few of my own jelly polishes. 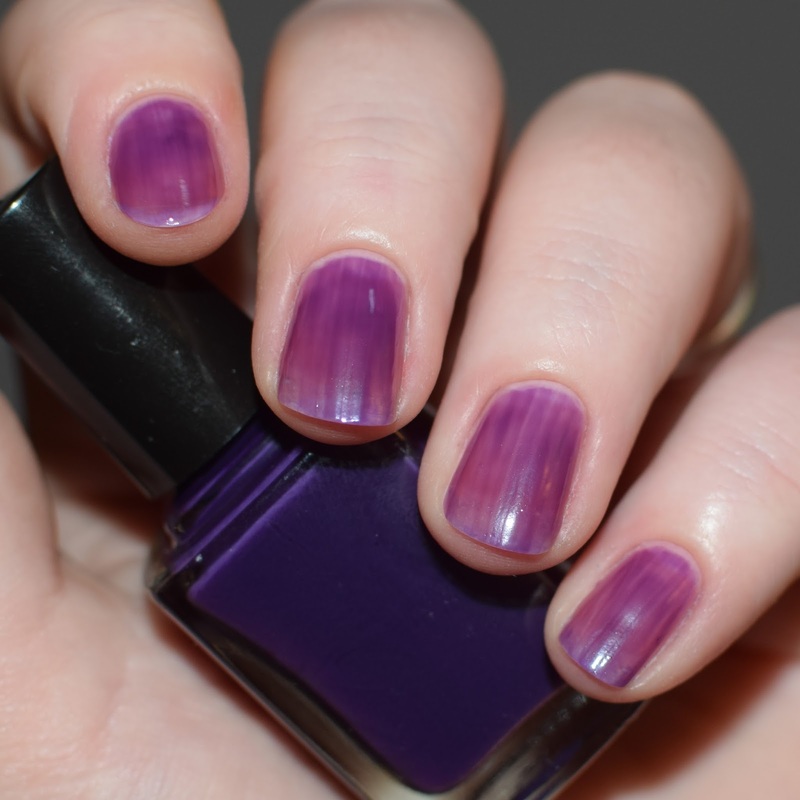 If you don't own any sheer jelly polishes then here are 2 super easy ways to make your own. 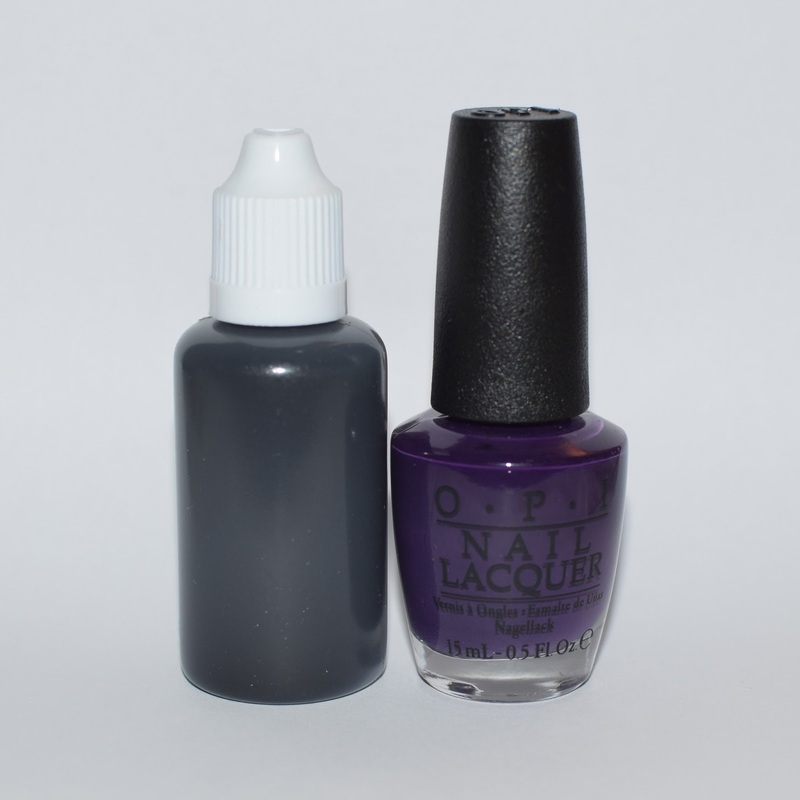 For both of these, you'll need a nail polish bottle full of clear polish and steel mixing balls. Having my own indie line of polishes I obviously have a lot of polish making supplies in my house, so for mine I used some of my Nimy polish bottle and clear suspension base. But most people probably don't have a bunch of suspension base laying around, but any clear nail polish, base coat or top coat will work fine. 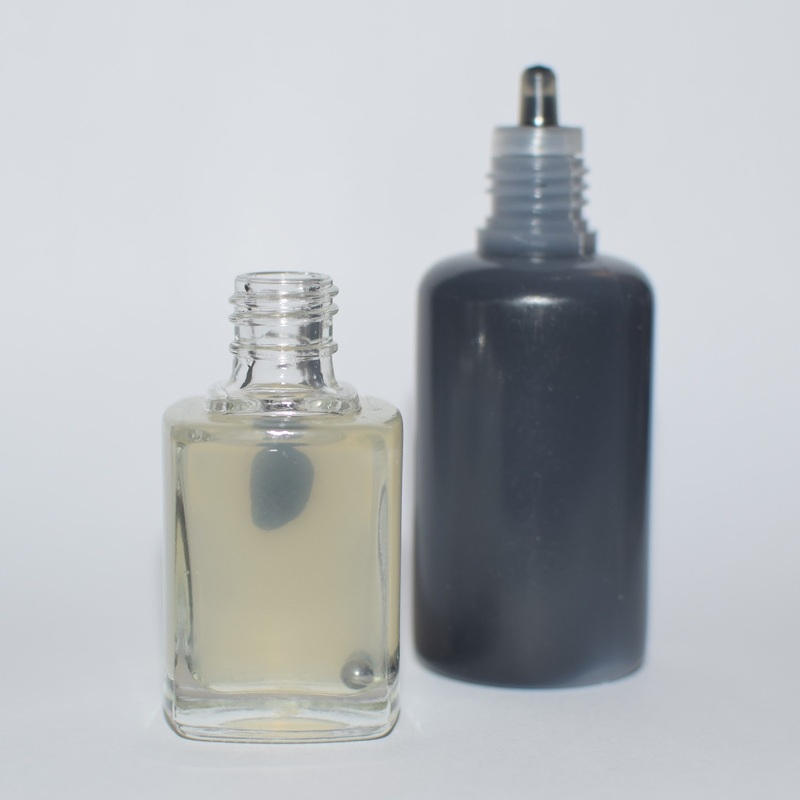 The 2 ways to make your clear polish into a jelly polish are to either add in liquid polish pigment (like I did with my black), or the more common option, any creme nail polish. 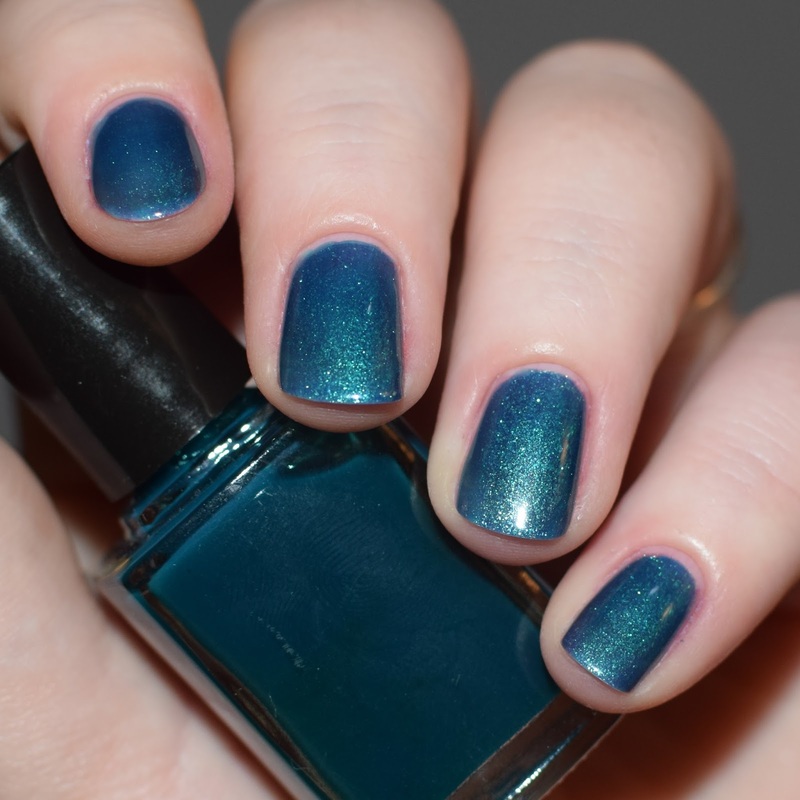 The process is literally as simple adding a few drops of regular nail polish (or liquid pigment) into the clear polish, adding less or more depending on what level of opacity you want the jelly polish to have. Swatches of my 3 DIY jelly polish. I love, especially with black, using a sheer jelly polish as a base colour for a designs. 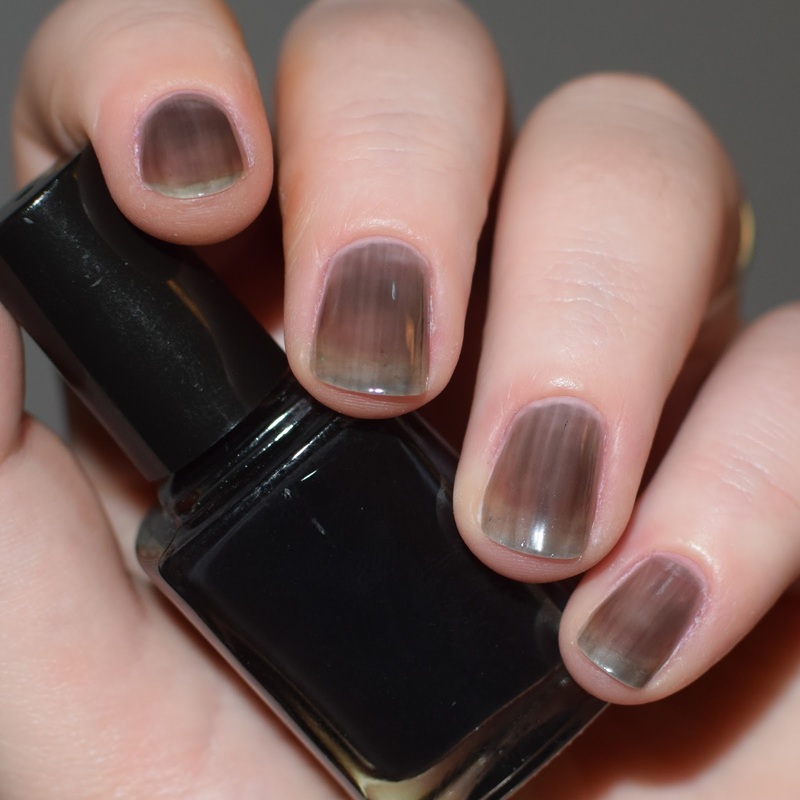 With sheer black, I think it looks beautiful and interesting the apply 2 coats of the sheer black then a apply a stamped full nail design over the top using a opaque black polish. The classic jelly sandwich technique. (While usually you'd apply the jelly polish the base polish) I prefer creating a jelly polish using a polish I already own and then using the original creme polish as the base colour. 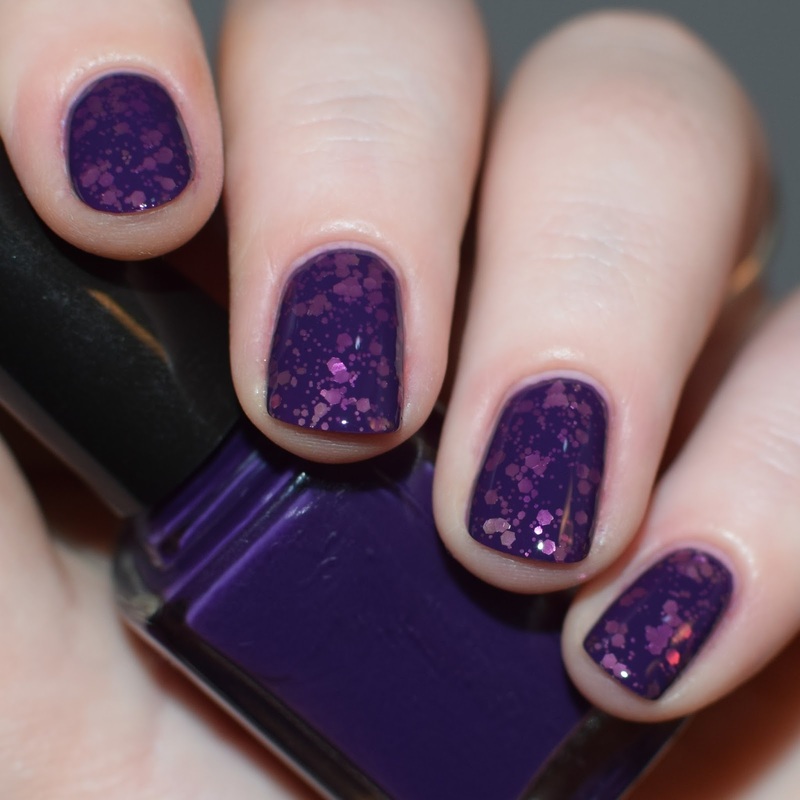 Then apply a chunky glitter, and finish with a layer of the sheer jelly polish over the glitter. I LOVE the effect of this technique, almost like the glitter chunks are inside a bunch of jelly. 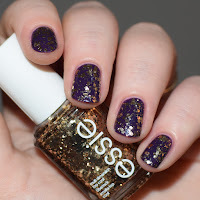 (I used A Grape Affair by OPI as the base colour and Summit of Style by Essie for the glitter). Probably my favourite thing about jelly polishes is the endless possibles that owning even just one has. 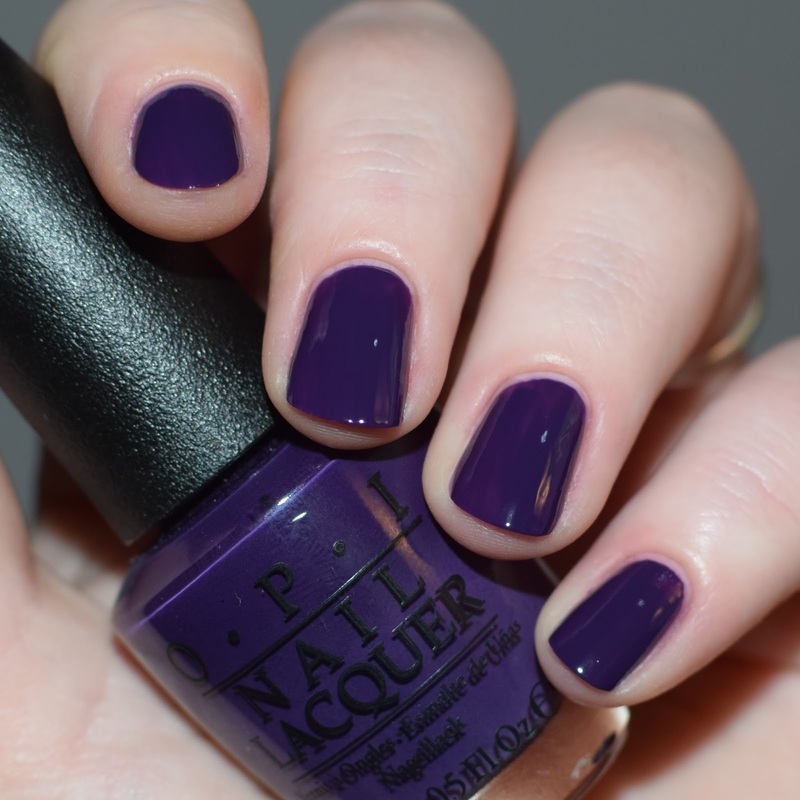 Especially when it comes to using jelly polish to adjust the tone and/or tone of a polish you already own. 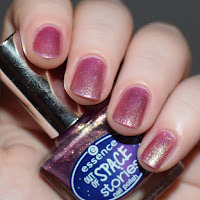 A great example of this, that I love, is apply the turquoise jelly I made over Space Glam by Essence. The rose gold glitter polish gets a completely new look when you add a layer or 2 of a different colour jelly over the top.